Akin has over 25 years of management and leadership experience in blue chip multinational companies. 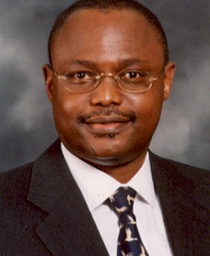 He was a Management Consultant with PWC where he worked on a wide range of assignments including Organisational Development and Change management interventions, Executive Resourcing, Performance and Talent Management in private sector organisations ranging from FMCG companies, financial services organisations and banks, and pharmaceutical companies, as well as public sector client organisations. Akin also held senior executive HR positions in Sterling Winthrop, British American Tobacco and now in Shell. He has worked in Nigeria, Ghana, Cameroon, Russia, Kenya and South Africa. Akin has been a full time university lecturer in Management and Business Administration and while working in Nigeria remained a part-time faculty member of the Lagos Business School.